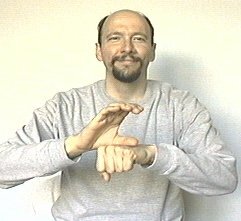 The sign for "church" is made by forming the letter "c" with your dominant hand. Form your non-dominant hand into an "S" hand. 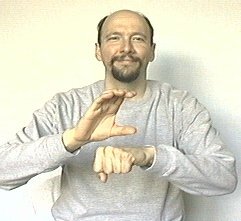 Place the thumb of your dominant hand on the back of your non-dominant hand. 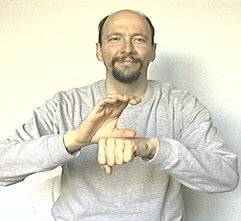 When signing church, it is common to use a double movement. Tap the thumb of your "C" hand on the back of your fist. Repeat. Note: the movement is up and down, not circular.